People all around the world are getting used to the idea of cryptocurrencies being a legitimate way to pay online. BitCoin is by far the most popular of these and not only there is a big tech startup community built around it, but also hundreds of online gambling sites. When You give it some thought, BitCoin is the perfect solution for playing casino games or betting sports on the internet. It’s an instant way to provide payments that are almost feeless and eliminates need for third party processors and expensive processing fees. Currency exchange fees are also gone and so is the often painful KYC process that can take days or sometimes even weeks. One of the most popular games that people play is BitCoin BlackJack. 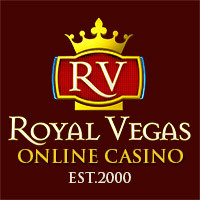 We are not referring only to the RNG or computerized games, but also live dealer ones. Major game providers such as QuickFire and Net Entertainment have already given their approval to this e-currency and are rolling out their selection of BlackJack games as we speak. Live dealer games with BitCoin are no different than FIAT ones and You still get the same marvellous playing experience. Our favourite BTC accepting site for this is mBitCasino.com who were actually among the first “real” casino brands in this space. That was a few years back when the dice rolling sites were absolutely dominating the gaming niche for BitCoins. As You can see below, You’ll actually have a chance to choose between multiple locations where the games are dealt on a real time basis. The betting limits are fairly flexible for BlackJack with wagers from miniscule amounts of mBTC to 25 full BitCoins being accepted on a single hand. Different BlackJack game types are available, depending on the casino You join and play at. Ezugi tables (pictured above) are offering rules that we would consider player friendly, with a natural hand of BlackJack getting 3 to 2 payout and dealer standing on soft 17. Dealer will also draw two cards to him right away and check for BlackJack whenever he gets an ace. This happens before players can act on their own hands. Doubling after splits is possible and You can also split aces, but only get one card on each of these. Games powered by MicroGaming (their QuickFire subsidiary) offer a more familiar game variation to European/Australian players. Dealer only gets one hole card dealt together with the players and does not act until all players are done with their play. Other rules are pretty much the same as those on Ezugi tables – doubling after splitting is allowed, dealer stands on soft 17 and unlimited re-splits available. QuickFire tables usually have higher betting limits though, so if You are looking to high-roll it up a little bit, these will be for You. Live dealer games obviously offer a better gaming experience, but they can also be painfully slow when some player takes 30 seconds to make a decision every hand. The way to avoid this is by playing at the RNG (random number generator) tables. All casinos will offer at least one RNG variation, but most of the time You will actually have an option to choose between several. One thing that really annoys players is waiting days or even weeks for their winnings. Often in these scenarios the player will start playing again and lose it all. When You play BlackJack with BitCoin this will not be an issue. Most casinos, such as BitCasino.io and mBitCasino.com will process withdrawals in minutes. We have close ties to both of these and they claim to have an average payout timeframe of approximately 2 minutes.